Kershaw Amphibian. 7 3/4" overall. 3 5/8" double edged blade with serrated section on top edge. One piece 420 J2 stainless construction with black co-polymer handle insert. 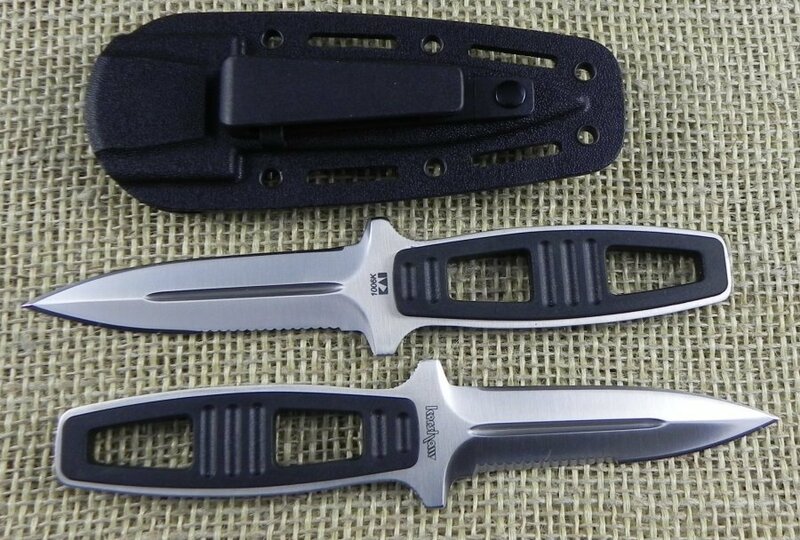 Black Kydex multi function sheath with leg straps.